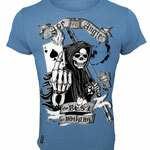 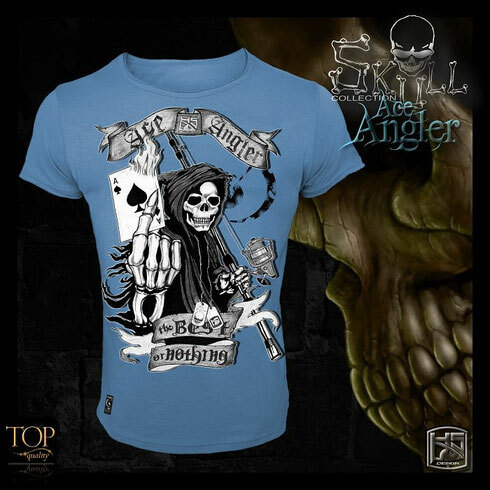 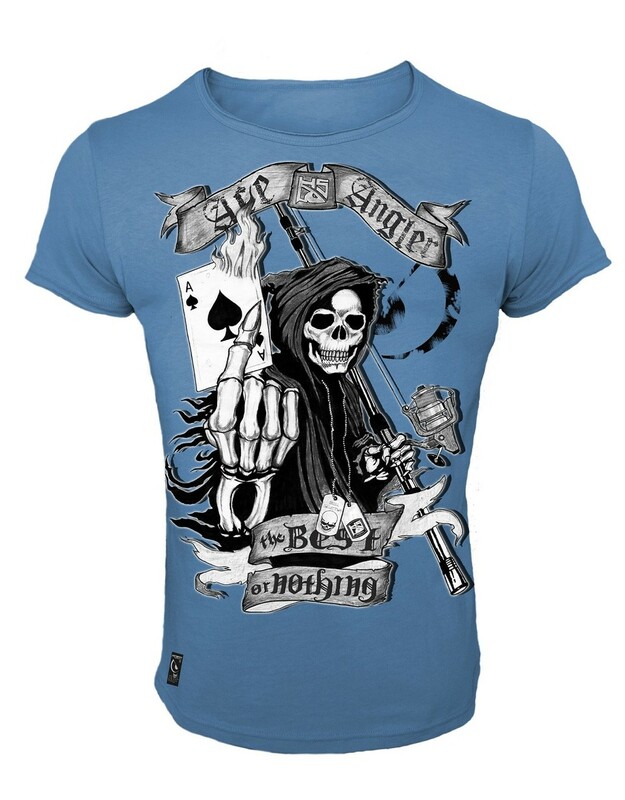 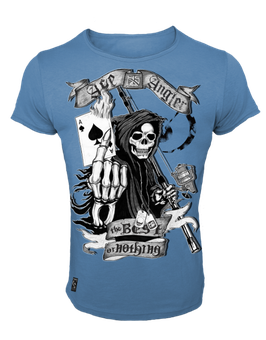 The ACE ANGLER t-shirt is manufactured in steel blue color and it is featured by our special design, the SKULL has on the hands a rod and a playing card, the ace is representing the angler number one, the best in the fishing field. 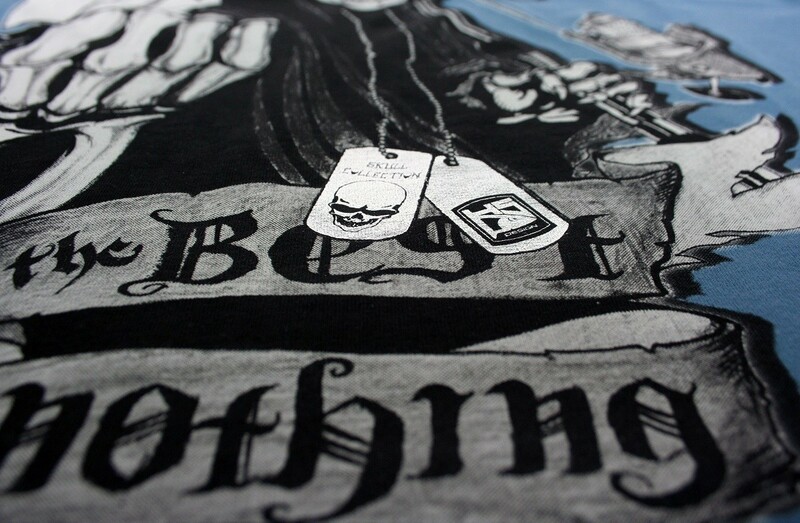 The Skull is wearing two dog tags realized in laminated silver printing allowing a reflection effect. 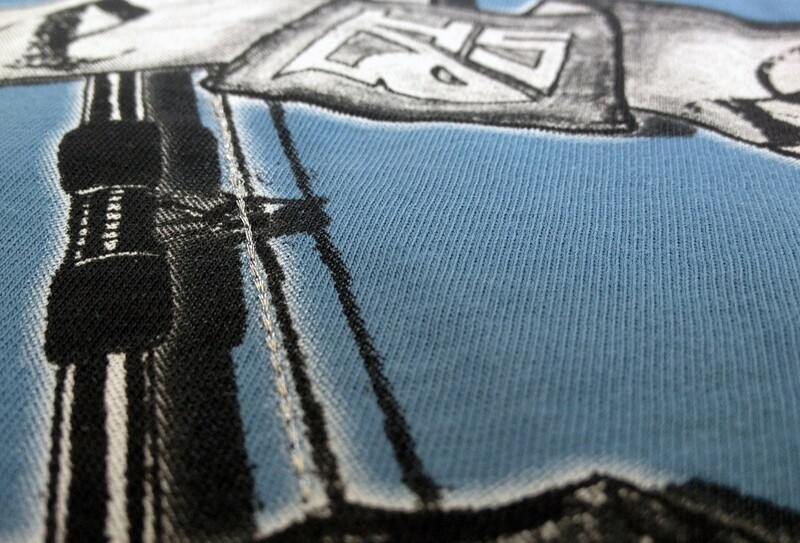 The fishing line is embroidered along the rod and on the fishing reel enabling a real effect. 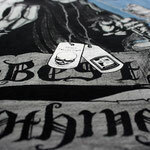 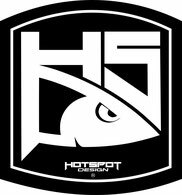 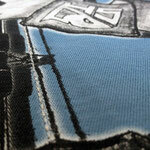 Quality and printing are far above your best expectations.